I often think about moments of radical healing, like the one from today’s Gospel, as rare and unseen in our ordinary everyday stories. Truthfully, I have read this Gospel countless times and my tendency is to write it off as unrealistic or inaccessible. Somewhere in my walk with the Lord, I internalized this notion that miracles are exclusively a thing of the early Church, or that putting my hope in healing is not practical. I am challenged in confronting these tensions and questions. I am called to acknowledge my own Samaritan moments. I am reminded to reflect on the seasons where I struggled to accept healing. I think the ten healed lepers probably understood that better than I ever will. “Ten were cleansed, were they not? Where are the other nine? Has none but this foreigner returned to give thanks to God?” (Luke 17:17-18). I wish I knew the thought processes of the nine who did not return to thank Him. Completely cleansed of the disease that held them in captivity, I imagine they chose to be swallowed by fear and doubt. Fear of a Messiah who could be Who He says He is, or doubts of full restorative healing, could have led the nine wondering what life outside captivity demanded of them. Yet, the Samaritan chooses boldness, in the midst of everything that has changed. He leaves the other nine, embracing his status as “foreigner,” to fall at the feet of Jesus in loud praises. I imagine he knelt at the feet of his Messiah and experienced the floor of Heaven, in that instant. Consumed in awe of his Savior, the Samaritan encounters healing in a way I often forget to; He returns in unspeakable gratitude. 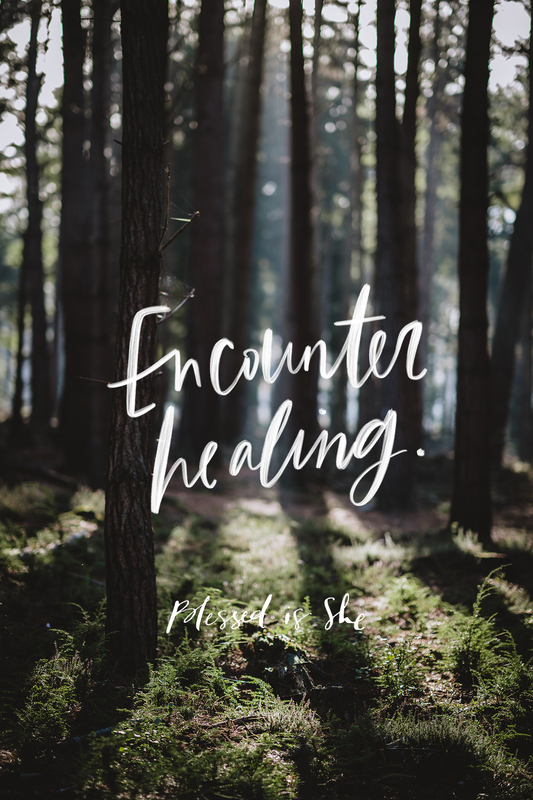 Maybe the Gospel writers shared this story with the Church, not only to show us the incredible saving power of Christ, but to allow us to encounter healing as a simple returning to the Source of all life. The complexities of fear and doubt have no power over the One who brings us back to total restoration. There is no striving, earning, or posturing. At the feet of the Messiah, there is healing and returning. Jesus, kindest Healer, I pray that we would step out of doubt and into the light of radical restoration. Previous Post Overmuch, Saint Paul? Beautifully written. This was a pleasure to read because both the content and prose were excellent. It had never occured to me what the other 9 thought at the one who went back . But the Samaritan choose boldness….was my reflective point. Thank you for your insights. I am grateful for His healing ways!!! Dear Sarah, I’ve been engaged in this practice for some time. Perhaps it will speak to the experience of radical healing. It is a Rosary of Praise and Thanksgiving that focuses on the Gift of the Sacraments. In Praise and Thanksgiving for the Gift of the Sacrament of Baptism, Sign of God’s Love for me /us, so that the hope of our salvation can not be taken from me/us. Repeat for each individual Sacrament on each Pater bead. This is praise and thanksgiving for the “radical healing” your heart already knows.